It’s no surprise that the UK film industry is worth billions, but after a poor experience at my local Cineworld, I was left feeling like an undervalued customer. I’m a great lover of watching the latest flicks at the cinema. The humungous screens and tasty popcorn often beat watching films on my small laptop at home. However, having to wait 30 minutes just to enter the theatre definitely took the shine off my latest silver screen experience. A few weeks ago, I bought two tickets to see Monster’s University at my local Cineworld and arrived 20 minutes before the 5.10pm showing, as recommended on its website. But no sooner than getting to the top of the escalator did the problems begin. I strolled up to the theatre entrance, ticket in hand, ready to get a good seat for the film. You may be able to guess what happened next. Five minutes came and went without anyone being let in, all the while, the amount of loitering and frustrated cinema goers continued to grow. Eventually, at 5.20pm, 10 minutes after the film was meant to start, staff started letting customers into the screen. The trailers were then started from the very beginning, meaning the film didn’t actually start until 5.50pm. Sweeten the pill with a gesture of good will? At no point did any of the Cineworld staff explain why there was a delay, or apologise for the inconvenience of having to stand in the cinema foyer for 30 minutes. When you’re paying more than £10 per ticket, I expect much better customer service and a much more enjoyable experience. Having said that, the film itself was excellent. Cineworld added that they would speak to the management at my local cinema to make sure problems are dealt with swiftly in the future. However, I wasn’t offered a goodwill gesture – do you think I should have been? 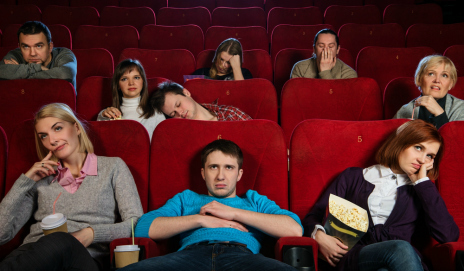 Have you ever had to wait an age for a cinema screening to open? The first insult has to be rip-off rate 0871 telephone number for enquiries and the rip-off rate 0844 telephone number for complaints. These numbers cost up to 41p/min when called from a mobile phone. Using these numbers for customer service will become illegal once the provisions of the Consumer Rights Directive pass into law. My beef is about wheelchair access. It gets more difficult for me to manage, so the last time I went to the cinema was to see the last Harry Potter film. I have no complaints about the prices, since they let me take my carer in cheaply, and the layout of the foyer etc was fine. Once in the cinema, it was another story. They had fully accessible “wheelchair spaces”. We used one of those, plus the adjacent seat – and after 5 minutes, we knew it was impossible. The seats were right under the screen – I had to tilt my head back to see what was on the centre of the screen and – should any action take place outside that central area – I had to move my head back and forwards as if at Wimbledon. Maybe if all your disability is not having 2 working legs, then you might – just – put up with that. My problems are more complex and I wouldn’t have the energy to tilt my head back and I could tell that after only a few minutes I was going to be unable to do the “Wimbledon” trick without getting very tired and probably getting serious eye strain. That last time I managed – between the trailers and the main feature – to struggle up half a dozen steps to a seat which made it less of a penance to look at the screen. Afterwards it took me 10 risky minutes to get back down those steps to my wheelchair again. My physical condition continues to deteriorate and I don’t think I could manage those steps again. There’s no point in giving people wheelchair access only to give them unusable seats – unless the access is there to get you regulatory approval and not to help customers. Did I complain? What would have been the point? They aren’t going to re-design the studios for my benefit. I’ll save the money for a DVD and hope to get some popcorn in from time to time. The complaint featured is really about Customer Service and not specific to a cinema. The service provider failed to communicate with its customers when the service was delayed due to problems probably beyond its control ( projectors do break down ). A peace offering in the way of money off vouchers would have generated some good will. Missing out the adverts isnt that simple – surprisingly – the show would have had to be rebuilt and there are contractual issues but not impossible. I would like cinemas to do something about the noisy behaviours and full scale picnics had in the cinema. Grizelda I appreciate your post concerning this matter. I work in this very industry and have experience in both an avid film collector and also within this environment. Firstly I am angry that good paying customers like yourself have to put up with this absurd nuisance. There needs to be a complete change in the Cinema experience if it is going to succeed within a never changing consumer environment. I have seen things which are utterly disgraceful in this industry and it makes me so very angry to see these large corporations doing absolutely nothing about it. Clearly state at the start of the film that any disturbance within the auditorium will not be accepted and if persistent the people responsible will be dejected. Every customer is asked to become a member via privilege card. The card promotes that after every 3rd film – the 4th is free. The card is used when certain individuals decide to ruin others right to enjoyment – The card is scanned when they are made to leave and they are banned from the cinema for 3 years. The card is scanned upon ticket sales so all the promotions and new coming films automatically get sent via email to that persons email. The cinema prices would be far less than they are now. In Fact I would make it so cheap and good value that the larger chains would sink. I do have a good knowledge on the Industry and what makes it tick and I do not agree one bit with the pricing policy’s of current well established chains. I find it unacceptable and unfair to charge customers an absurd amount of Money for taking the time and effort to invest in an industry that is lucky to be still be afloat. The Things I have seen would make you utterly sick. The profit margins on concessions are insane and totally unjustified. There is a huge difference between making a profit and ripping people off and these chains do exactly the latter. I cannot believe this kind of daylight robbery is allowed and its almost like they are punishing people for simply trying to have an enjoyable good time. These Cinemas are reaping the profits in more ways than one. The advent of digital media means that films no longer require old spools of films on 35mm. The films are now tiny and require far less maintenance and also delivery costs – And who benefits > The Cinema chain. In light of this fact they should lower the prices yet year after year they raise them. The people that run these chains are complete and utter parasites who do not have a moral standard like everybody else are machines whose only intent is profit profit profit and at the end of the day the very thing they are advertising ( Films) gets pushed back to the line and is not considered important. When I see family’s leaving the cinema I feel angry and enraged at what they have had to pay just to watch a film while the corporations just lap up there disgusting profit margins. The profit margins on foods is abhorrent to the point it makes me sick. With a family of four your looking at £60+ just to watch a film and have something to eat. There are no family deals or reductions. These Cinema chains pay there staff minimum wage – the lowest form of payment possible which is a disc-raise considering what they are making. If you take away the fact that films are shown you have one big rip off on a monumental scale and at the end of all that you have had to have the sheer indignity of someone else ruining your film through complete and utter lack of any form of respect for others. What I would recommend is that all cinema goers put into a kitty and build up an independent chain throughout the Uk which is based on a thoroughly enjoyable experience instead of being treated like dirt from large American corporations who don’t care, Are evil throughout, Have no respect for anyone, Greedy, selfish and could care less how the customers feel after they have paid hard earned cash to be not even listened to. I have a zillion ideas which would transform this Industry and in fact I am confident the Franchise would go from strength to strength. People would want to visit the cinema instead of being concerned over idiotic prices or idiots ruining the movie experience. I can also tell you this Grizelda, that response they sent you is a pre written one laid out on a template.I ashore you they use these templates and never respond in a personal and respectful fashion. Its a pre filled letter or email that they ask the customer relations to print off and then think this is enough of an answer. Every year these companies raise there prices and pay the majority off staff exactly the same minimum wage – It is a total and utter mockery. They have had it far to good for far to long and Its time the movie going public had more choice and value in this Industry. I also have many concept for better seating and audio. Hope you have a nice day Grizelda. My visit to Showcase cinemas at Stockton-on-Tees to see Les Mis was disappointing. There were 30 minutes of advertisements before the film began. These adverts were blasted out at an unbelieveable noise level. It was a waste of time if they were trying to attract the audiences attention as the noise just distorted the sound. It reached the point where you felt please not another one as it was painful to the ears and I developed a headache. As the decibals were well above what you should have to endure I contacted the local council’s environment section who said it was the responsibility of the cinema. An e-mail to Showcase Cinemas website was ignored. Horrendous experience at Cineworld Nottingham. Went to see Hunger Games, Mocking Jay at 10.30pm, sat through 30 mins of adverts? Pretty much drank my what I had in that time. Quickly popped out to grab another drink from the desk next to the screen to be told he was ‘shutting up’ and I had to go downstairs (two flights of escalators) then two large queues where only two people were serving (very slowly). All I wanted was a bottle of water! So I had paid around £10 to watch 30 mins of adverts, wait and miss 20 mins of film to get a bottle of water…and after I came back upstairs, the server was still behind the counter ‘shutting up’….surely he could have served me a meagre bottle of water? This is why I don’t go to the cinema very often, expensive and painful. I was turned away from Cineworld Braintree today because I was not a NEW PARENT – I am a grandmother and also a WI member and the film I wanted to see was Suffragette . AS the WI was born out of that movement I wanted to see it and also I had to meet grandchildren out of school so I needed to go to an early showing. Two Mums of school children were also turned away – all potential customers turned away and I found nothing about it on my app. if I was a pervie old man yes but, grannies have done breastfeeding and the like – what are you managers thinking of? They were twice sent for (different people each time?). I recently watched two movies… One was downloaded from the internet, one was at my local Cineworld. The downloaded movie was great. This is typical of my experience at the cinema. I’m getting fed up with paying decent money to sit in a room full of selfish inconsiderate mornons. My son has a quite severe learning difficulty and slight behavioural issues. But he can behave himself in a cinema? Why do other people find it so hard. Vue Edinburgh Ocean Terminal ran by a team of really bad customer service managers. No respect for there customers and over charge on items like Ice cream and Popcorn. Filthy screens and dirty toilets smelling of stale smoke and urine on the floor. No VIPs checks and over priced tickets. Normally we come up every Sunday afternoon but instead were going to odeon Lothian road in future as its ten times better than vue and the staff and managers are friendly and helpful. The place always smells fresh and looks tidy. We got to know the general manager at odeon and he has agreed that vue has built up a really bad reputation. I have just taken one of my 7th. Grand children to the cinema,to watch Moshi Monsters The movie. This is all he asked for ,as my grandchildren take turns to spend quality time with us. Why on earth would you charge the adults, who have to take the child to see the movie,Is beyond me? There are always concessions were children go free…So why not adults go free,cause lets be honest ,the children can’t go without adults! I really feel that your out of touch with families…. I really feel like it’s day light robbery to charge £7.80 for the adult & £6.60 for the child & £3.95 for the smallest bag of popcorn! For just over an hours special entertainment for one grandchilds quality time ,it cost me £18.35 & only one grandparent could spend this timei too!!! 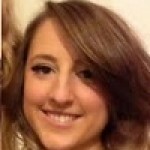 You really need to get real & in touch with Families…..
Mrs Elizabeth Hynes ..A totally discussed grandparent ….. The Odeon cinema in Kilmarnock appear to have added even more expensive luxury seating which is great if you have lots of money to spend. However as a result, they have reduced the leg room on the standard seating to an unacceptable amount. If you have size 10 feet, there is not enough space to have them straight out, you have to sit to the side with your knee pressed against the cup holders and the seat in front. Being this cramped up for long periods of time can cause blood clots and other health issues. Unfortunately there appears to be no one interested in what they are doing to the cinema experience. Shame on you Odeon for being so greedy. I am just about to send an email to Cineworld in Boldon Tyne and Wear about all of the above! Come on Voice of Reason open a new experience cinema for us all to enjoy! Do you know your consumer rights? Are some films best left in black and white?